With attendance expected to top last year's all-time high and a week-long "Super Week" build-up to the show, New York Comic Con is starting the hype machine early and has started to presell tickets to the October show at brick-and-mortar retailers. New York Comic Con will sell a limited number of tickets for the sold-out show at comic book retailers along with special New York Super Week cards that went on sale yesterday. This is the last chance for fans to get multi-day passes. Midtown gets a jump on the other retailers, but you can see a full list here. Ticket sales start at all participating retailers today, with a limit of four per customer. Last week, they announced that NPR's Ask Me Another will sponsor a Super Week appearance by Sandman creator and best-selling author Neil Gaiman. 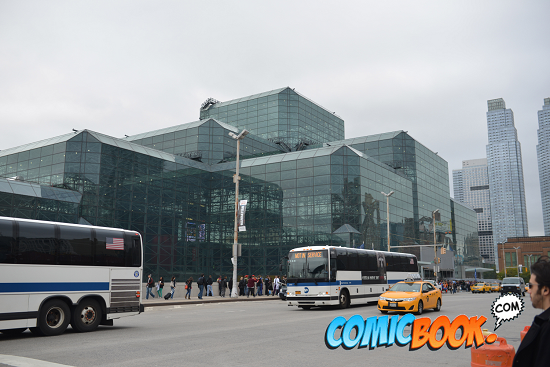 New York Comic Con takes place from October 9-12.